Mage. Reasonable. Mature. In love with his best friend’s little brother. Dawn. Painfully shy. Crazy talented. An anxious cinnamon roll in need of protection. Mage has always been Dawn’s hero. He’s been there for him when Dawn was bullied, when Dawn came out, and when he joined The Underdogs. 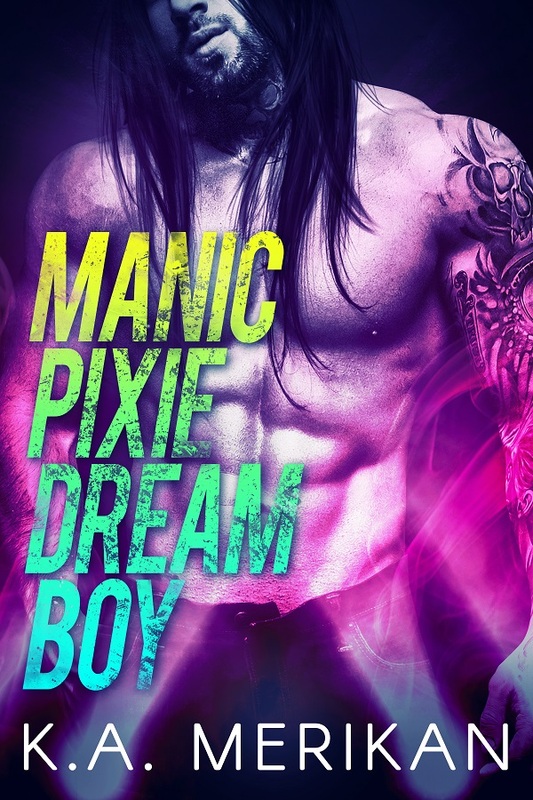 He’s also been Dawn’s first and only love—painfully unrequited, since Mage is straight. But that’s only for the better, because they’re bandmates, and Dawn’s brother is Mage’s best friend. It would all be too intense, too complicated, too real. But then one drunken kiss proves Mage might not be as straight as he seemed, and their whole world turns upside down. 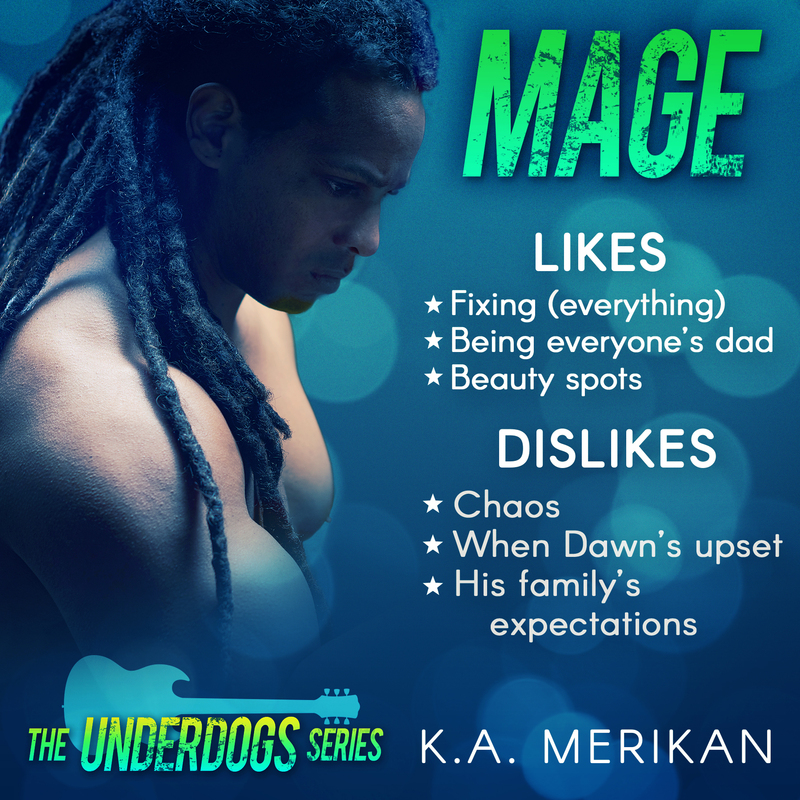 Even though Dawn craves Mage’s love so much his heart could burst, his shyness stands in the way of any future they could share. 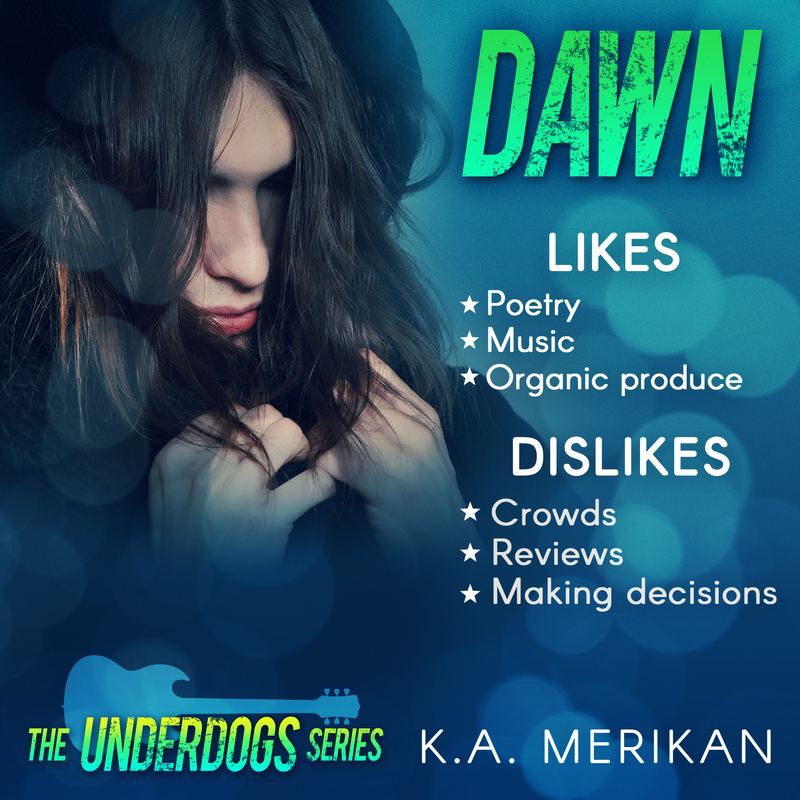 While they have to keep their budding relationship under wraps and they prepare to sign a major record deal, Dawn’s anxiety gets out of control. Mage will have to choose between the success he’s always craved and the love of his life.